So, why do people want to sell their own homes without relying on the help and support of professional real estate agents? It keeps coming up time and time again: to save money. Depending on the service used, the sale fee can range from 4% to 6% of the total property sale amount. In order to avoid this, some people try to sell their property on their own in the attempt to save some money. Unfortunately, they forget the fact that those agents are trained to do that for a living and know almost all the required tips and tricks on how to do it right. It is their job and no one can do it better. The owner can stumble along the way upon many little bureaucratic and marketing aspects. This puts the owner at a loss, thus preventing him from making the property sale efficient, smooth, and most lucrative. Let’s look at the most common things people can overlook when not relying on professional real estate agents and their extensive experience. You should always be aware of the correct market value of your property when selling. An overpriced listing of the property will end up scaring off all potential buyers. On the other hand, selling the correct market value can cause you to lose some of your hard earned equity. In order to get the right listing price, the property needs to be evaluated neutrally. Due to emotional attachment, many sellers tend to add value to some decorating aspects of the house, not realizing that the potential buyer might consider it a hindrance. It might be anything from room decorations, tapestry, and wall painting to added structural changes. Anything that requires changes or costs money to remove might not appeal to the client. That is why a neutral evaluation is a good thing to do before listing the property on the market. There are lots of variables that can affect the house pricing. We are talking about aspects including house/apartment size, location, number and quality of the services in the area, availability of reliable public transportation services, and neighborhood reputation, among many others. It is also subject to the regular house market pricing levels of the area. Homeowners lacking real estate agent specific training and experience are faced with the almost impossible task of evaluating all the aspects that affect the market price and the variables within that. Real estate agents have current, extensive knowledge of the setting trends of the market. They are also experts in pricing and all the details that affect it. They have the professional skills to evaluate the selling property neutrally as they do not let their emotions affect the quality of their work. 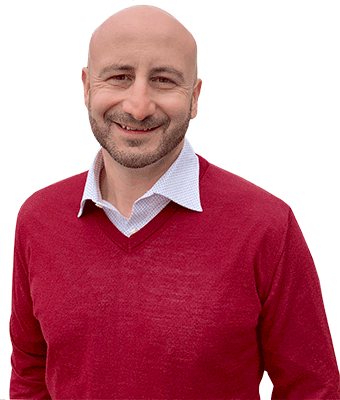 One of the most common mistakes in FSBO is in property marketing. When the private seller starts to advertise his/her property, the pictures might not be lucrative and the description of the house not professional enough, therefore failing to give all the necessary, correct information to the potential buyer. It is exceptionally easy to give too little or too much info on the related matters. Therefore, making professional and tempting property ads can turn out to be a challenging job. Another aspect that needs to be acknowledged is the fact that with a little work and investment, many aspects of the house can be positively presented. Cleaning and arranging the house is essential before any showing. Investing in a few plants and storing away personal items and unnecessary pieces of furniture can make the house look cozy without being too personal. Failing to do so can imply sloppy maintenance and reduce the earnest interest of the potential buyer. If it’s a house, taking good care of the garden and walkway can do miracles as far as giving potential buyers a perfect first impression. It’s also imperative to fix all the minor possible flaws in the house. A little renovation can get you a long way and really boost the property value. Sometimes, using the services of a professional staging expert can do wonders. One must remember that potential buyers will have every little detail under a magnifying glass since they are prepared to invest a lot of money in the property they decide to buy. In opposition to owners, real estate agents are professionally trained when it comes to property presentations. They will make sure the house will be as presentable as it can ever be. They will use all the methods in the book to make the presentation as pleasant and convincing as possible. They might change the lighting of the rooms, rearrange some pieces of furniture, or offer refreshments and/or fresh baked pastries to all attendants. They will do whatever is needed to make the premises look as cozy and comfortable as it can be in order to persuade the potential buyer that this is the perfect place for them. They can easily recognize among the people at the presentation those who are truly interested in investing in the place. MLS (Multiple Listing Service) is the way to go. Many property owners who desire to sell their home/house/apartment fail to market their property accordingly because they don’t want to spend few hundred extra $$$ to list their property on the MLS. That is one of the greatest mistakes people make when selling FSBO. MLS is basically a huge and comprehensive database which is normally used by real estate brokers. It’s a very good way to attract the interest of many potential buyers as well as their buying agents. Even if you decide to use FSBO, working with buying agents is the way to go in order to obtain a fast buy. Real estate agents have access to MLS. That is how they are able to find potential buyers for any and all of their clients. They usually also have tons of personal and professional contacts to refer back to when needed. Contrary to owners, agents work on commission. Striving to obtain a hot deal at the highest possible price is in the agent’s best interest. They will put all their skills and experience to work in order to get it because, contrary to owners, agents make their living out of this and have a reputation to uphold. Not knowing what papers are needed for selling your property can cost the owners that opt for FSBO dearly. There are lots of documents and many disclosures with accurate dates that need to be signed and submitted for filing. One must consider scheduling appraisers, arranging necessary inspections, and meeting many other conditions. Failing to meet the required accuracy and dates might cost the owner and buyer extra money and time – this time in the courtroom. That is why all the aspects of the official documents and agreements within the selling contract must clear and execute within the set legal date limits. Real estate agents have thorough training in timely handling all the necessary paperwork concerning a property sale. When it comes to contract terms and necessary documents, real estate agents hardly ever make any mistakes. It’s part of their job to do the paperwork right. They have their good reputation to uphold, so they are going to do their part to finish everything in an accurate and timely manner. It is easy to welcome potential buyers inside your house and give them a tour, but when they start to ask about escrow, oil-, gas-, and/or water-rights, maybe even about the possibility to lease the property, do you know what to say to them in order to appear professional? Most people can’t, and that is another mistake that people usually make when selling FSBO. This is also one of the reasons why people use real estate agents, as they are trained effortlessly give answers to questions you normally can’t even think of. Unlike private owners, real estate agents are trained and experienced to look for all the details that buyers may want to know more information about. They have a checklist of any and all matters that affect the property. They will have all related answers prepared, just as any true professional should. Again, it’s their reputation and expertise on the line, so mistakes and misinformation are something they should avoid at any cost. Selling a house is art. It’s all too easy to describe something with sentimental value to someone who doesn’t see it the same way. It’s easy to use the wrong kind of adjectives or to exaggerate and say the wrong things at the wrong time. What seems to be wholehearted and innocent to you might actually be annoying to a stranger. It might be quite hard for the owner to present his/her property neutrally, because of the emotional attachments linked to it. That can be a hindrance to the property selling process and is another common mistake made by people when selling FSBO. On the other hand, real estate agents have professionalism when it comes to property presentations. They know exactly what words to use, to make the sale happen. They can put bad property aspects in a better light. 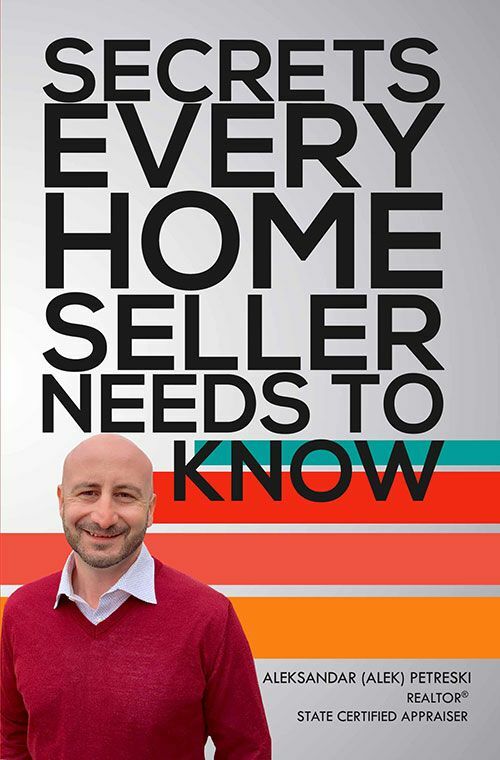 To repeat, selling is an art, and no one knows better the tricks of the trade than an realtor when comes to selling the property. There are plenty of blunders to be made when selling your own property without the support of professionals. You need to be available for all the contacts, set up home-showings, and answer to various questions. There is much to do. The house should be clean, empty of unnecessary furniture pieces, pets, and personal objects. It might even be a good idea not to have the kids home. Real estate agents have experience dealing with all of that. They present the premises for houses on a daily basis, all throughout the year. Where you, as a private owner/seller, might stumble, they will succeed. That is because of their exquisite training and vast experience in the field. They are familiar with all the probable mistakes and problems that might occur and complicate the process. They know how to dress up all the risks, take advantage of all the loopholes, and avoid the possible downsides of the deal, since it’s in their best interest to do so. That being said, FSBO (or “For Sale by Owner”) is truly an option for those with real estate experience and good negotiating skills. For all the others, FSBO is not recommended unless accompanied by thorough research on the subject. Real house market professionalism and knowledge is something you can only achieve through training and experience. 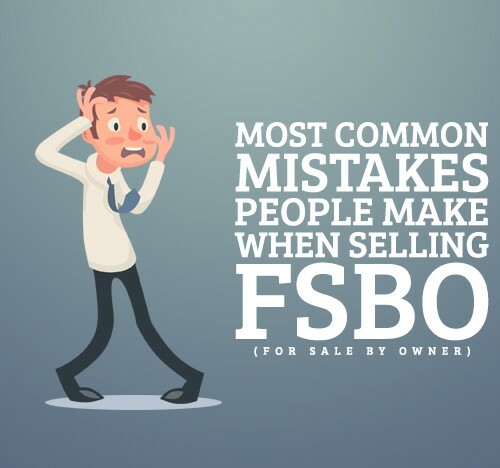 Try to avoid all the most common mistakes that people make when selling FSBO and refer back to a professional real estate agent if you feel overwhelmed. Selling your house is important. Make sure your home gets the attention it deserves as your most important financial investment. The result will be well worth it.